With today’s labor civil rights still under attack, join us to remember and to commemorate the brave people who sailed to Everett from Seattle in a fight for free speech. Theirs is a cause to remember, to celebrate, to win. Their fight is our fight. Join in Solidarity to Commemorate the 100th Anniversary of the Everett Massacre. Sail from Seattle to Everett on the Virginia V November 12, 2016 with the Pacific Northwest Labor History Association (PNLHA) and the Snohomish County Labor Council. 9:30 AM Board Virginia V at Shilshole Bay Marina. c. 2:00PM- c. 4:00 PM Sail back aboard Virginia V to Shilshole Bay Marina. There will also be a free event from noon to 2:30 PM at the Port of Everett if you are not able to sail with us. Boat Tour Tickets: The boat tour has been sold out. If you still wish to participate, please consider joining us at the FREE event from 12pm-2:30pm at the Port of Everett on November 12. 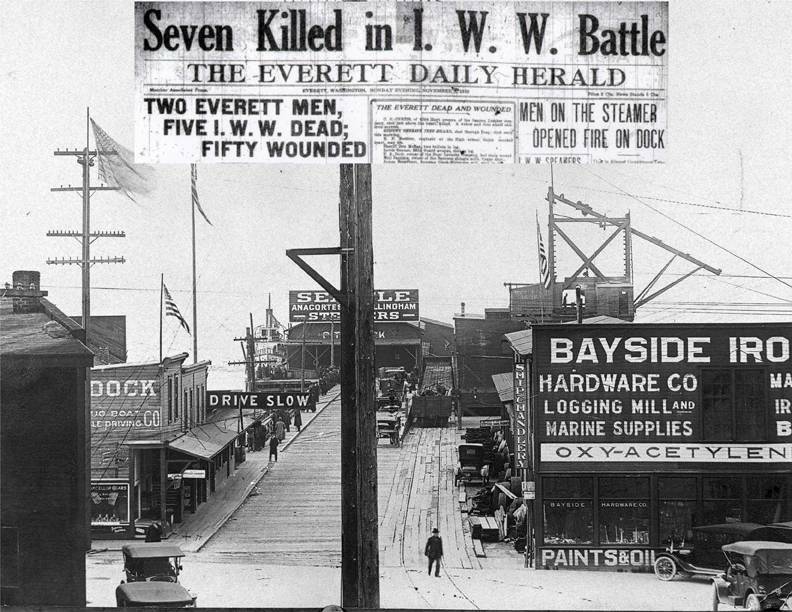 On November 5th, 1916 250 men packed aboard the steamers Verona and Calista and sailed from Seattle to fight for their right to free speech and to support striking shingle workers in Everett. Five of them would never make it back. 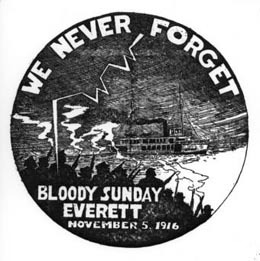 Everett Massacre Commemorative Boat Tour Planned for November 12, 2016 – SOLD OUT – Inquiries about the Centennial Sailing: email Tom Lux at pnlha2@gmail.com. PNLHA member and Washington State Trustee Conor Casey was interviewed on We Do The Work radio: Tuesday, July 21, 6:30 pm, 91.7 FM KSVR. Casey, Labor Archivist and Director of the Labor Archives of Washington (LAW), explained how LAW was founded to preserve working people’s history and make it accessible. 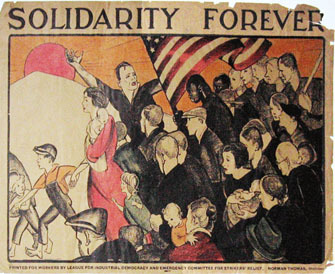 For more information on the Labor Archives and its collections, go to www.laborarchives.org. 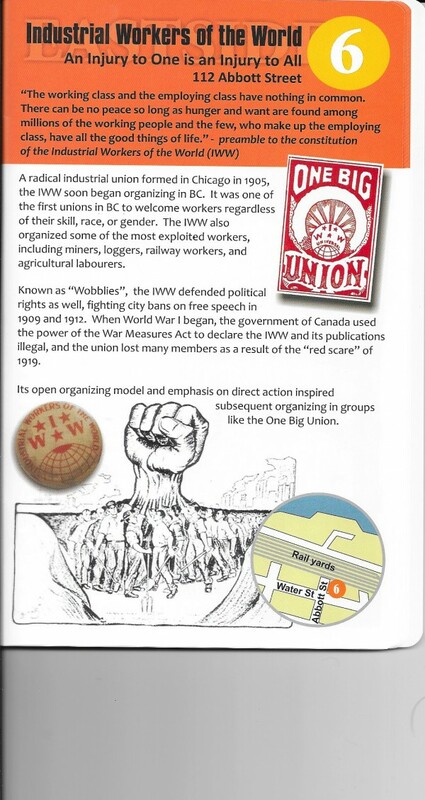 A coalition of labor organizations in British Columbia launched a labor history book project on October 21 that promises to “provide a broad overview of BC labour history,” according to a poster produced for the event. The coalition consists of the Labour Heritage Centre, the BC Federation of Labour and the Morgan Centre for Labour Studies at Simon Fraser University. The three provincial organizations share the goal of having the book cover the role of the union movement and working people in building the west coast province. LHC president Ken Novakowski praised the project’s main financial backer, the Community Savings Credit Union, which is providing $200,000 to fund the book to be published by Harbour Publishing. The CSCU has long been seen as labor’s credit union. 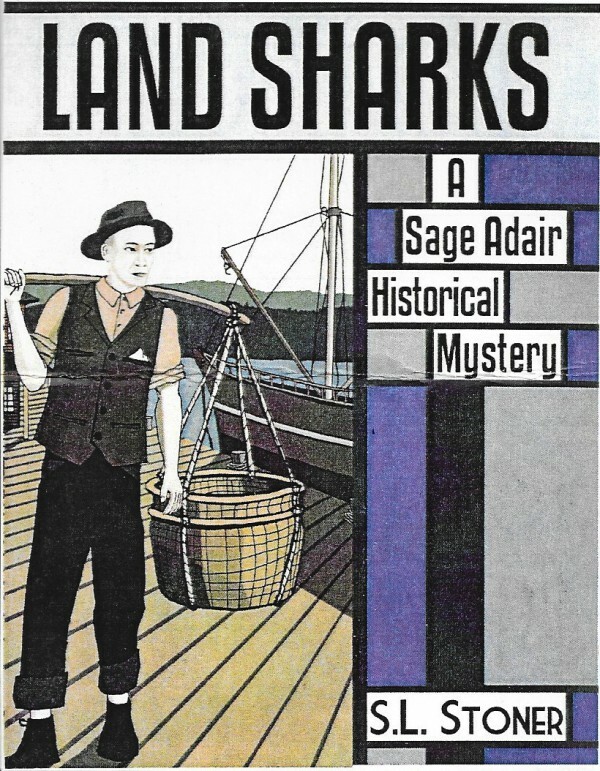 Author Andy Neufeld, a PNLHA member, told the gathering of about 50 labor and community leaders that the book would cover a wide range of events and issues and it would do so with a strong eye on diversity and gender. Neufeld, who will be working closely with LHC research Robin Folvik, a regular at PHLHA conferences, also said there would be plenty of photographs, illustrations and innovative graphic elements to make the book readable and appealing to all audiences. It will be a fun, colorful and accurate portrayal that will highlight the many struggles of the province’s workers but would not shy away from examining its flaws, he said. 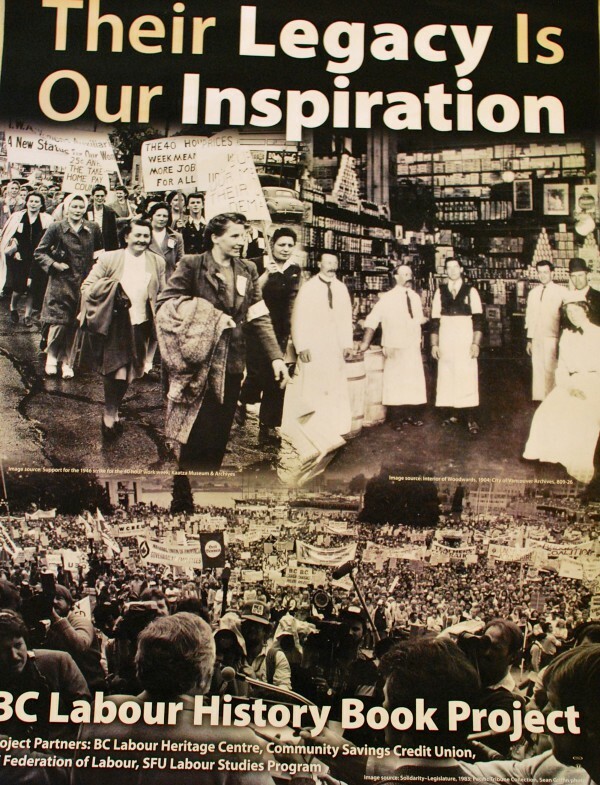 Not since the Canadian centennial year 1967 has there been such an ambitious labor history publishing project. As Neufeld pointed out, it has been almost 50 years since the BC Fed published No Power Greater by the late labor historian Paul Phillips. 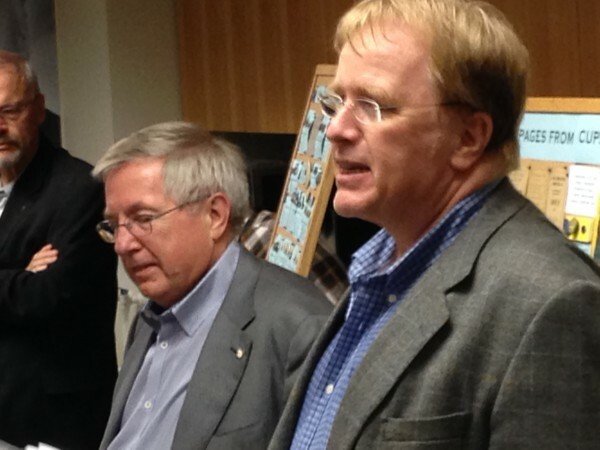 Also present at the launch party was BC Fed president Jim Sinclair, who recently announced that he is stepping down after 15 years at the helm of the province’s biggest labour body. The two candidates who have come forward as candidates for Sinclair’s job – BC Fed secretary-treasurer Irene Lanzinger, a former president of the BC Teachers’ Federation and Canadian Labour Congress Pacific region director Amber Hockin, a former CLC health and safety representative – were also at the launch party. The federation election occurs in November. 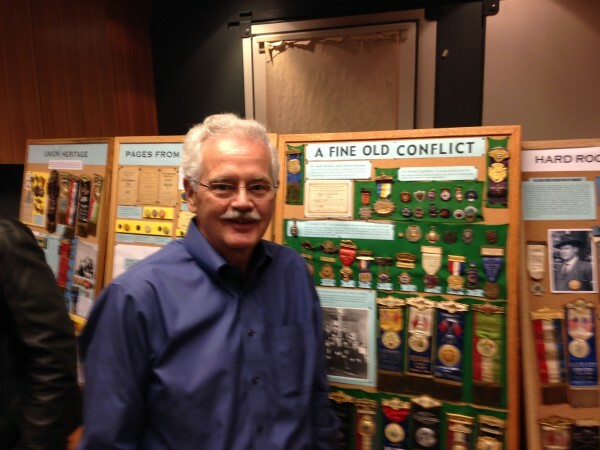 PNLHA member David Yorke was also on hand with his impressive collection of labor pins dating to the 19th century. Work is to begin immediately on the new book. The call for papers, presentations and workshops is now out for the 47th annual conference of the PNLHA. The theme is “Celebrate, Honor, Act” and organizers at the Washington PNLHA are looking for presentations that offer “the best historical models for organizing, strategic alliances and coalitions, and to connect these models with contemporary actions to consider how the labor movement can strengthen for the future.” Download the PDF and submit your proposals by January 16, 2015. Organizers invite you to come to Seattle on May 1-3, 2015 to Celebrate the 100th Anniversary of the writing of Solidarity Forever, Honor the life of Joe Hill on the centennial of his execution, and Act to strengthen and rebuild the labor movement for a secure future. 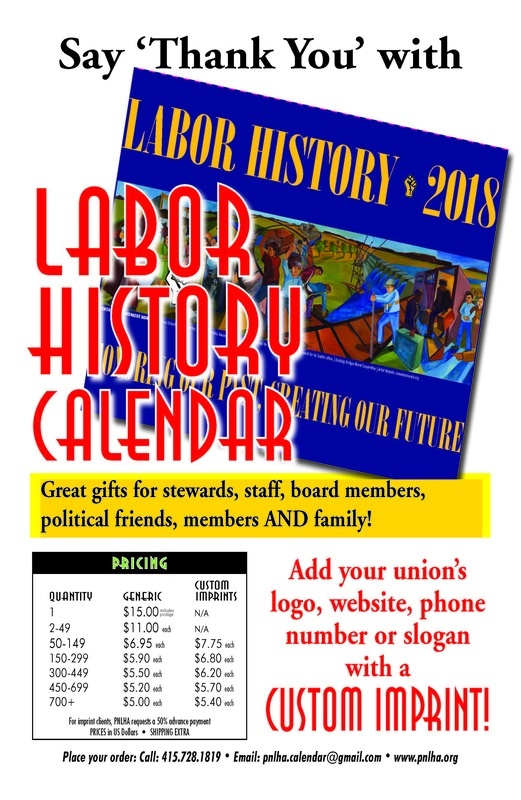 The Oregon Labor Oral History Program (OLOHP), an affiliate project of the PNLHA and the Oregon Historical Society, preserves the collective history of labor unions and work life of Oregonians. The following audio excerpts illuminate a teenager’s dramatic passage from regular ordinary life, through the unbelievable extremes of war in the Pacific, to the transformation into passionate labor leadership. 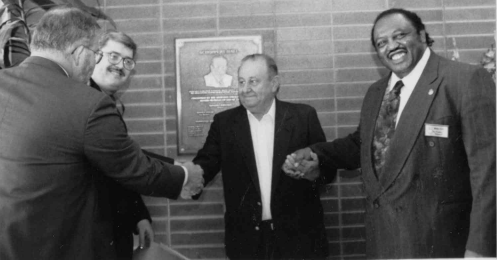 Mel Schoppert (17 July 1924 – 28 May 2002) worked as an officer of the Amalgamated Transit Union Local 757 for eighteen years and served as as a business representative for eleven. Beginning his career as a bus driver with the Portland Traction Company in 1952, Schoppert helped take wage rates from a low level to one of the highest in the country, with ample fringe benefits. Schoppert battled for and gained one of the first dental plans, job injury, “full pay” supplemental benefits, and broke the six week vacation barrier with six weeks after 30 years. At the Oregon Legislature he lobbied for and got nineteen bills passed, calling for benefits and job security for transit employees. In 1973, he was elected to the post of Vice President of the ATU International and served as its Senior Vice President until his death in 2002. The Schoppert interviews, conducted by the Oregon Labor Oral History Program (OLOHP) and archived at the Oregon Historical Society, were published in excerpts for union members in the NW Labor Press. OLOHP’s work is supported by ATU 757 members through a 2-cent per capita levy instituted in 2010. This contribution funds oral histories conducted by students, including subjects representing other unions. S.L. Stoner is the author of four novels that use events in labor history as their theme.The Portland-based author celebrates the working-class heroes that fought the tough battles for workers’ rights in the late 19th and early 20th century. Her main character, Sage Adair, is a hero that acknowledges that he has help exposing the villains. Oregon Vice-President Ron Verzuh interviewed Susan Stoner in August 2014 about her mystery series, asking what movitvates her to write, what writers inspire her, and where she finds her intriguing labor-related plots. The videotaped interview can be seen on our YouTube channel. Labor walking tours of Vancouver, B.C., open up a vast and diverse history of events that shaped the west coast city. 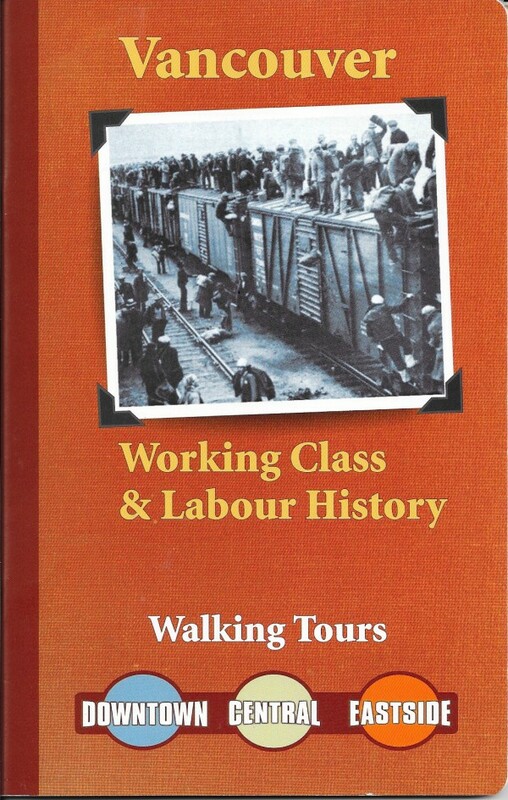 In 2013, through a collaboration of several labor groups including the PNLHA, a booklet outlining three distinct tours now has been reissued. PNLHA member Bill Bigelow is co-hosting a Zinn Education Project writing retreat near Portland in mid-December that will feature a discussion about This Changes Everything: Capitalism vs. the Climate, a forthcoming book by Canadian writer-activist Naomi Klein and a new film by Avi Lewis. The retreat will help participants produce teaching materials that will assist students to grapple with the root causes of the climate crisis and imagine the audacious social changes that will be required to address it. Interested? Please see the Zinn Education Project page on this collaboration for more details and an application.